We are honored to have been invited to join the Department for International Trade’s, Exporting is Great campaign as an Exporting Champion for the ‘Midlands Engine’. Following several highly successful years building our international customer base resulting in incredible growth globally. We have been asked to help support the next generation of businesses aiming to take their businesses international. The Midlands Region Export Champions – Midlands Engine, officially launched on the 4th April at the Ricoh Arena in Coventry, and was hosted by Simon Hall, Deputy Director Investments and Exports Midlands Region. Derek Carr, our Operation Director attended the event joining forces with 50 other companies from across the East and West midlands who will be collectively supporting other regional businesses planning to expand their horizons worldwide. Through delivering first-hand advice and experiences as part of a selection of events planned throughout the next year. “The past few years we have seen fantastic growth internationally. During this time we have received a lot of valuable support from the Department for International Trade. It has been a genuine honour to have been asked to be a part of the Midlands Engine as an Exporting Champion. We are really looking forward to helping other local businesses to achieve the same levels of success as we have. The ‘Exporting is Great’ campaign is so important to businesses looking to expand internationally especially with all the challenges and uncertainties that Brexit is still causing us.” Derek Carr Operations Director. The Department for International Trade’s Export Champion Midlands Engine initiative was originally launched in 2017. Having the aim of growing the Midlands economy by £34 billion pounds by the year 2030 whilst creating an additional 300,000 jobs in the region. Locally driven with support from the government and is designed to bring together leaders from Education, business, local and national government to share best practice and build the economy further. Since launching it has helped hundreds of businesses across the region to achieve their goals. We are very pleased to have joined the new 'Export Champion' community, acting as ambassadors for exporting, sharing our success stories, offering practical advice and leading by example. For more information on the 'Exporting is Great' initiative click here. We are very proud to announce the latest addition to the Addfield Board of Directors, James Grant. 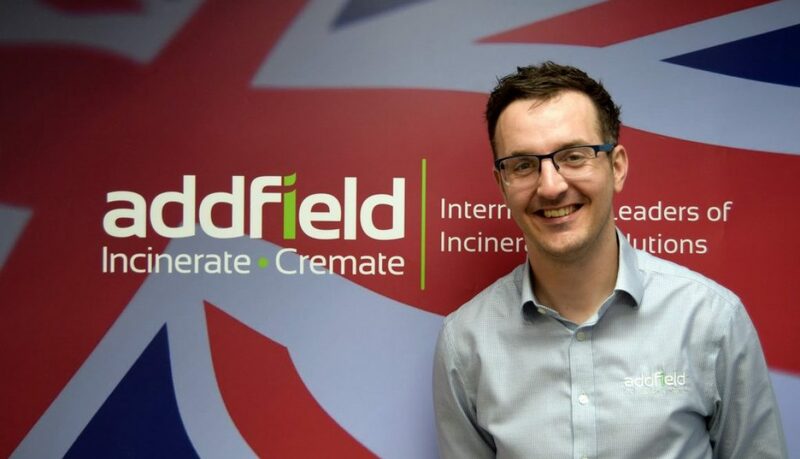 James has been instrumental to the success of Addfield working in the role of Business Development Manager since 2011. Representing the business globally and playing a key role in helping to secure our position as the international leaders in incineration. He will be assuming the position of Business Development Director on the first of March. “James has worked extremely hard for the business since joining. Coming from a completely different industry James has shown some serious key skills and the determination required to get him where he is today. He has played a key role in a lot of our recent and ongoing business success, he also has his sights set firmly on new markets and major projects for the business in the coming years. I would like to congratulate him on his new position and continued success within the business.” Steve Lloyd Managing Director. 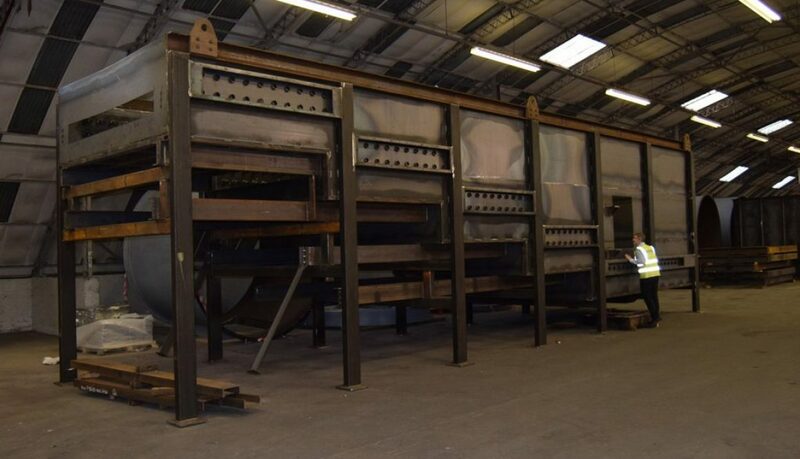 As the business has continued to expand dramatically through recent years and with no slowing in sight, we continue to break our own sales records with orders received and projects completed. 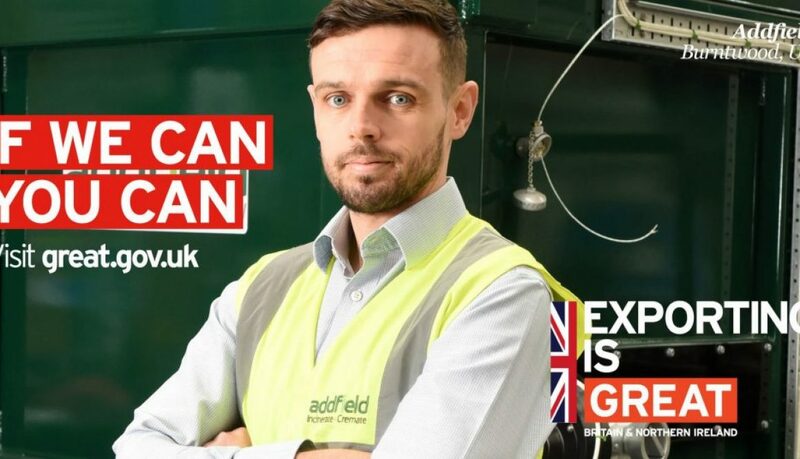 We are in the process of expanding our sales team and global distribution network, it is a very exciting time for Addfield and one which we are sure that James is going to excel in. We are proud to have customers stretching across every continent and covering more than 95 counties. One of our biggest barriers is often not finding the customers but finding the best solution to transport their machine to them safely. Fortunately there is an internationally recognised set of guidelines know as Incoterms (International Commercial TERMs) that helps us to manage the process. The current version was established in 2010 by the International Chamber of Commerce. This guides how we manage almost all of our international shipments. If you are looking at importing one of our incinerators these are the options that you have available. At first glance this list can look a little daunting however in our day to day dealings there are only a few that we use on a regular basis. CIF – Cost, Insurance and Freight – Typically this is how we ship the majority of our international machines. With CIF we have the machine delivered to the nearest port, for predominantly coastal countries this would be a major containership sea port. For landlocked countries these are typically inland freight ports. Collection from port is then arranged by our customer to take the incinerator to their site. DAP – Delivered at Place – This is when we manage the entire journey starting with the collection from our factory in Staffordshire all the way through to delivery on site, managing every channel through the process including customs. EXW – Ex Works – Although rare we do have occasions where the customer chooses to collect the machine and manage the entire process themselves. Standard delivery is one thing but when you consider our average machine weighs at least several tons how do we ensure that the delivery takes place smoothly? Let’s be honest Air freight is completely out of the question, so we rely on Sea and Road to move our machines. How to send an incinerator by Sea Freight. 95% of our shipments made through CIF are classed as ‘Full Container Load’ FCL. Loaded in our factory in either 20ft or 40ft containers by fork lift truck. Loading a multi chambered pet cremator onto a flat bed truck by a crane. Once loaded our team of engineers secures the equipment before carrying out a number of final quality checks and ensure that the packing lists is cross referenced. The container is then delivered to port by the freight forwarder ready for shipping. Once at sea the journey can then take between 20-50+ days depending on location. A week after we have confirmation that the boat has set off the deeds of the goods is received and then forwarded on to the customers address. This document is known as the Bill of Laden (BOL). The BOL proves the ownership of the goods in the container to allow our customer to collect them from the port. When the sea freight arrives at the nominated port it is ready for customs clearance followed by inland freight by lorry to its final destination. As this has been delivered following CIF incoterms, from this point on the goods and any local duty/tax where applicable are the customers responsibility. We recommend our customers appoint a freight forwarder to undertake this activity. The customer tariff code also known as a harmonised tariff code (HS code) is HS 8417 100 000, this number explains the type of product contained and is used to apply duty to the goods where applicable. 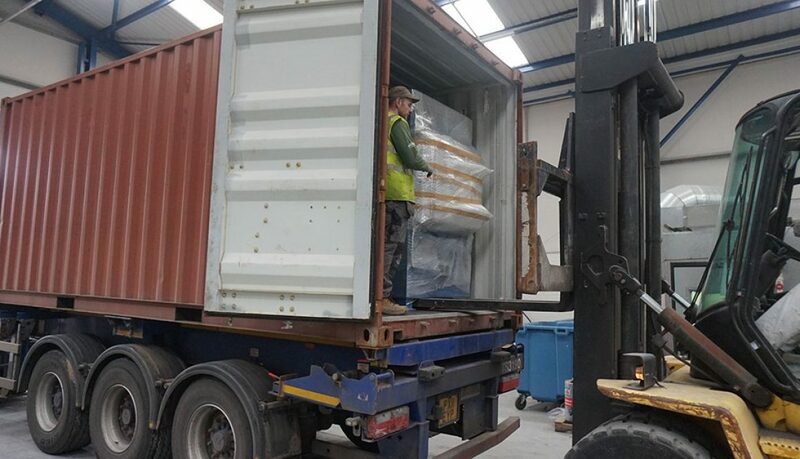 Once delivered to site the customer has a 2-3 hour window to unload the container as that still belongs to the shipping company unless this has been purchased separately which is the case with containerised machines. We recommend that to ensure safe unloading that appropriate lifting equipment in onsite including ensuring that fork lifts have suitable ‘Long arms’ to reach the incinerator for removal and positioning. How to send a pet cremator by Road Freight. The other main route for international delivery is Road freight typically DAP (Delivered At Place), where we manage the entire process from door to door. 90% of our road freight is large equipment, we choose to send this as a dedicated load or as non-transhipments. 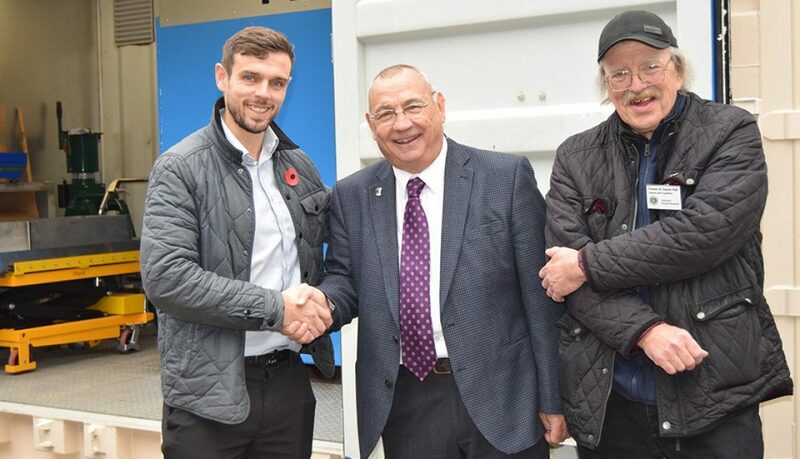 Whilst this costs us more, it greatly minimises the chance of damage as it doesn’t allow freight forwarders to up lift and move equipment at freight hubs should they wish to equip your lorry with other deliveries. As it is not going by boat delivery times are a lot shorter ranging from 1-10 days. We are able to use DAP for deliveries in the UK and across Mainland Europe. Unloading of a PET200 from a lorry by Fork Lift Truck in Norway. Unloading an A50IC machine by crane ready to be positioned on skates for positioning. For larger machines we require removal with a crane. Once offloaded the incinerator is moved into position onsite with loading equipment inline with how we are able to move the incinerator into the building. Forklift trucks and skates can move through doorways and using cranes when we need to go in through the roof. As with unloading a container we recommend that to ensure safe unloading that appropriate lifting equipment in onsite including ensuring that fork lifts have suitable ‘Long arms’ to reach the incinerator for removal and positioning. For more information on our international deliveries contact our sales via sales@addfield.com. Click here to learn more about our latest installations follow us on Facebook. Click here to keep up to date with our latest stories on our blog. Click here learn more aboute the full range of INCOTERMS. Having customers in more than 95 countries it can be challenging to ensure that we can provide a full service to our customers. This is where our expert team of distributors, partners and international engineers step in. Trained by our engineers in the complete installation, commissioning and maintenance of our machines to enable us to confidently support you no matter where you are. Having an on site training facility is great however sometimes we need to go our and deliver training directly. This was the case this September when one of our engineers headed out on a 30-hour journey to warmer climates, installing another of our machines in Latin America. To be precise in Iquique in Chile. The GM350 Medical Waste incinerator has been installed in a new waste treatment plant that will be managing the medical waste for Hospitals and Clinics in the region. The first of many installations planned by our customer Geconor to help manage the clinical waste in the region. Following the installation and training we were able to ask General Manager Jorge Rivera Stuardo a few questions about his plans. What do you see as the future for waste incineration in South America? "For us our immediate goal is to become one of the main providers of hazardous waste disposal in the North. 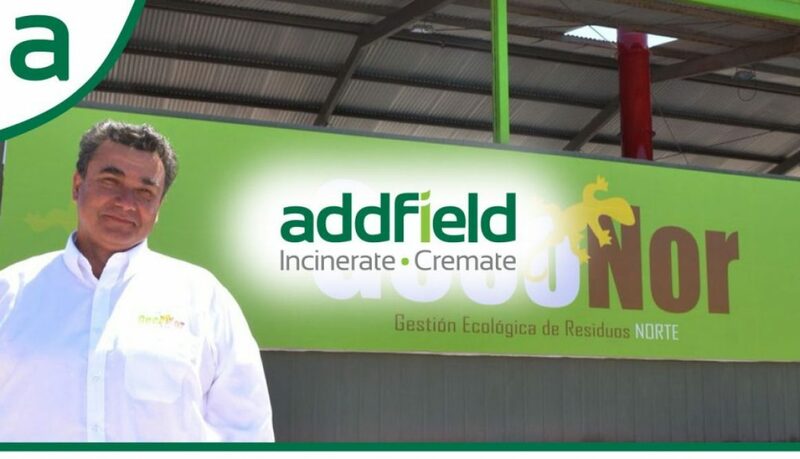 We chose to work with Addfield as they are such an established company that has specific solutions not only for medical waste but also for pet cremation and general municipal waste, all of which are areas we are planning to expand into. We have big plans to continue to grow, expanding into the Central and Southern regions as well, through installing more incineration plants. 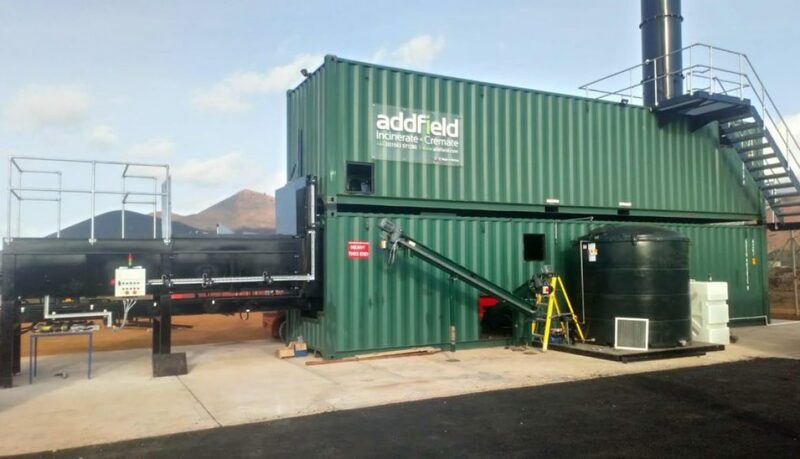 We are also planning on developing our waste to energy capabilities with Addfield as we know that there machines are already able to use the heat to generate clean energy, which we call circular energy. We like the way that Addfield are simply built better and this makes a great strategic alliance for us at Geconor as the right way to eliminate waste while helping our environment." What helped you decide to start Geconor? "To begin with the company was involved in just transporting hazardous waste. Then we realised that there was a different way to deal with what we were handling. After this we decided to really research the idea and developed it to where we are now creating a company that also receives and treats waste. We met with investors and began our long journey to form what is now called Ecological Waste Management North "Geconor" where we are aiming to give a real, concrete solution to the problem that is so widespread here in the northern parts of our country." Why did they choose to work with Addfield? "We wanted to work with a company that we could trust and as Addfield comply with all of the rules of the EU we believe that this surpasses our national legislation and that gives us the security that they would deliver machines that would be able to operate reliably under the legal framework governing this activity. After much research and many discussions we decided that we had found the right supplier and wanted to become representatives of Addfield here in Chile, they are a prestigious company and there slogan says it all, 'Simply Built Better'." Jorge Rivera Stuardo, General Manager, Geconor. We are proud to have Geconor as our latest distributor representing our Medical Incineration and Pet Cremation ranges throughout Chile. View our full pet cremation range here. View our full medical incineration range here. View our energy recovery range here.